Struggling to Leverage the Potential of Social Media for Business growth? Your struggle comes to an end here – Social Media Wizards at Technousa will help you do social the right way. Connect, listen and engage your potential customers on Social Media like never before. See outstanding results! Technousa has a fantastic team of social media marketers who live and breathe social media – they know the nuts and bolts of SMM/SMO and have a proven track record of delivering results. 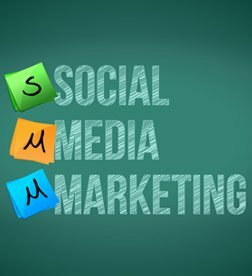 There are plenty of businesses out there which are doing social media for the sake of doing it and there are many businesses which are struggling to build their presence on social media because of the lack of knowledge, experience and expertise. If you are one of those companies that have not been able to leverage the potential of social media for business growth so far and want to, we would love to help you do that – because that's what social media consultants/experts at Technousa do day in and day out and they are passionate about what they do - they help businesses establish a strong social presence and enable them to connect and engage their target audience on the right social platforms effectively. Our team also helps businesses create brand awareness and build solid customer relationships on social media platforms. Our social media professionals live and breathe social media. Yes, they know the nuts and bolts of social media marketing. They have in-depth understanding and hands-on experience required to implement strategies that work. Our experts know what works and what doesn't and they also have the curiosity and passion to experiment and try out new ways/methods to find out creative solutions to enhance the effects of social media campaigns. Technousa is one of the best social media companies/agencies based in India with offices in USA and UK. Being an offshore agency, we are able to offer social media services at affordable prices. In-depth Customer Interaction and Feedback. Better Customer Relationship Management and Loyalty Building. Online Reputation Management and Brand Mentions. Project Analysis – our team will review your current social media presence and will also do an in-depth analysis of your business, services offered, target audience, market and competitors. SMM Plan – our team will discuss and take your inputs and will devise a social media plan which will be submitted for review/approval. Once approved, the plan will be implemented in a phased manner. Social Profile Management – we'll keep your official social profiles/pages active with highly engaging and creative content relevant to your audience. Our team will also handle queries from prospects and respond to comments/complaints from customers. Networking – We'll connect with your target audience on various, relevant platforms through your social accounts and build a network which can be leveraged. Leads Nurturing and Social Media Monitoring – We'll monitor conversations related to your business and will also track service requirements posted by potential clients on social media and respond to them. We also send one to one messages to relevant prospects and take efforts for lead generation. 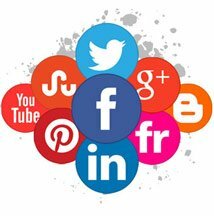 Social Media Engagement – We'll find social pages, groups and platforms where your target audience is active and will post/share or get relevant content published. We will also create conversations using your social accounts in order to engage your audience and boost brand visibility. In short, we'll run a social media campaign for your business/brand which will be highly targeted based on creative storytelling and persuasive messaging. *Note: with respect to the above mentioned process, number of activities and volume of work will depend on your budget.